How can the skills of the sport psychologist be put to best use within a football club? How can a sport psychologist help elite footballers perform at their maximum level? structure, communication and organizational psychology. The book is illustrated throughout with real-world case studies, drawing on research into sixteen professional clubs across five European countries, and concludes by suggesting how other elite team sports can learn from the experiences of professional football. 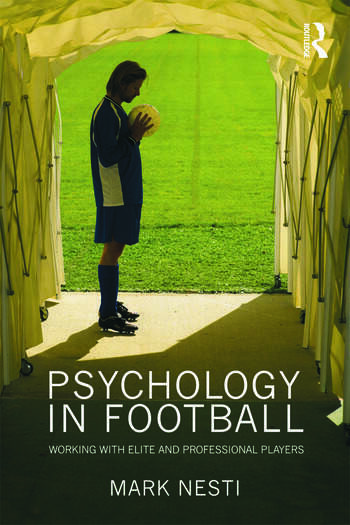 This is the only book to outline a holistic approach to psychology in football and the to offer such a rich combination of theory and practice. It is therefore essential reading for all students of sport psychology and all psychologists and coaches working in elite team sport. Mark Nesti is Reader in Sport Psychology at Liverpool John Moores University. He has worked as a consultant sport psychologist with four English Premier League football clubs, and is currently working with players and staff at three Premiership clubs.